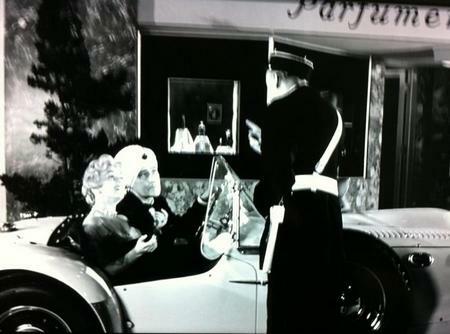 Bernard Dervieux sent us the screen shot above from the 1953 movie, "Paris Model" starring Eva Gabor, Marilyn Maxwell, Paulette Goddard, and Tom Conway (Maharajah of Kim-Kepore) who we assume is driving the car. If you look closely, the car is a light colored J2X with two fuel fillers and disc wheels....we're guessing it's chassis 3144 that was also featured in "Written in the Wind." The car appears within the first twenty minutes of the movie for 2 to 3 minutes. Thanks Bernard!